Thumb hole and grip are make for easy and comfortable control of the palette. Sand well for a smooth professional look. 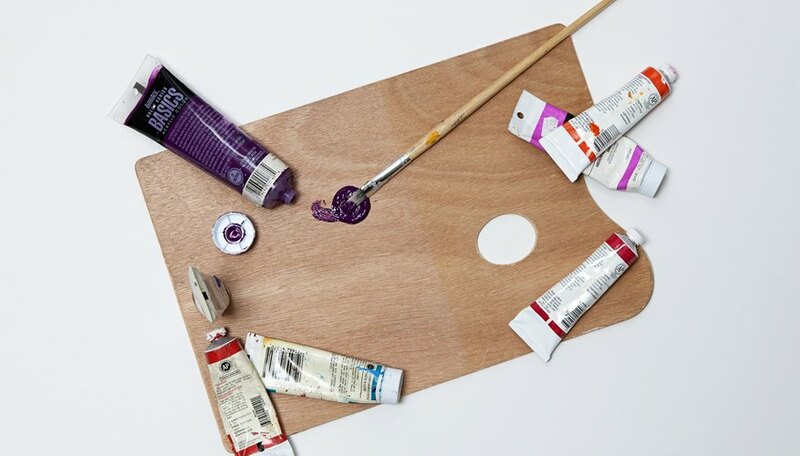 The artist's palette has a flat surface, most commonly made from a lightweight wood, that can be used to mix the paints and pigments the artist will use during the painting process. It is designed in such a way that the artist can easily hold it in his hand, allowing easy movement around the painting canvass. 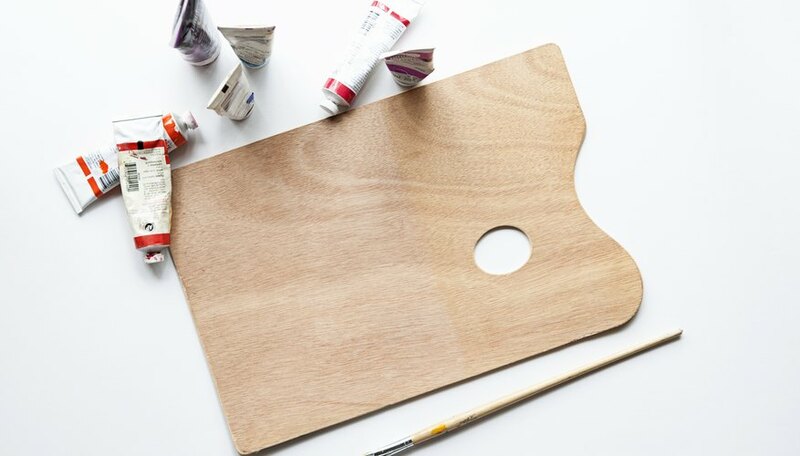 You can make your own artist's wooden palette with a few simple materials within a couple of hours and be well on your way to creating your own masterpiece. 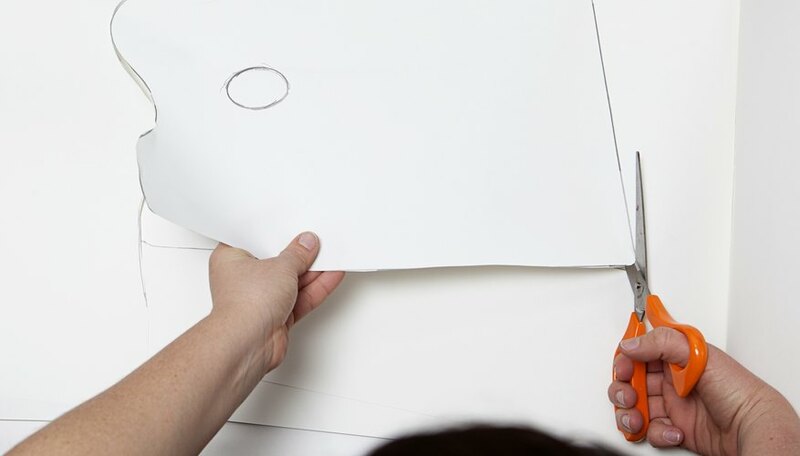 Take a piece of sketch pad paper, at least 12 by 16 inches in size, and use a pencil to sketch a layout of an artist's palette, like the one in the image (see the Tips section below). Use a protractor or french curve to help you sketch the pattern you want. Cut the pattern out with scissors when you have it exactly the way you want it to look. 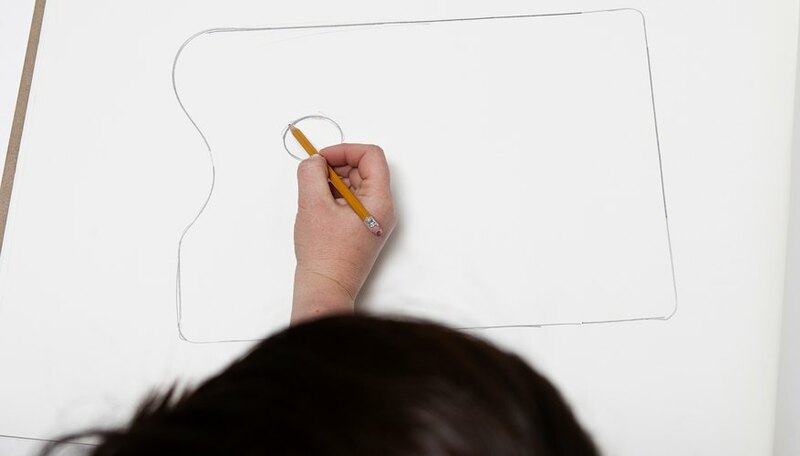 Lay your paper pattern out on a piece of balsa wood and trace the outline onto the balsa wood with a pencil. 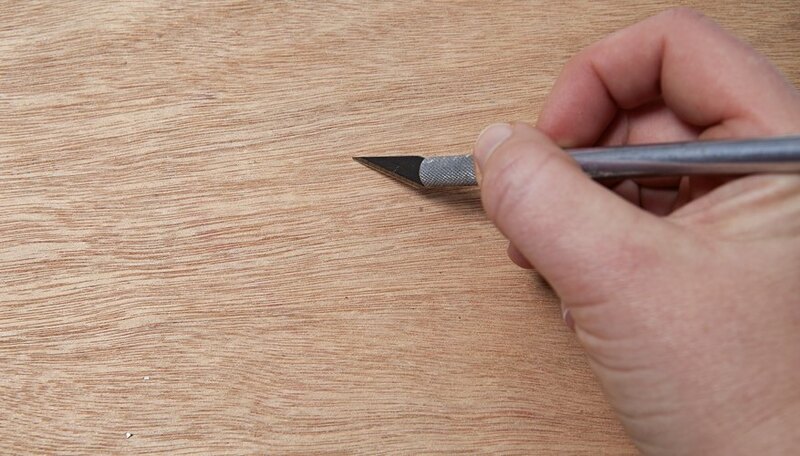 Trim the excess balsa wood from your outline with an X-acto knife. When you have the balsa wood cut away, lay out a thumb hole on your palette like in the image and use the X-acto knife to cut out the hole. 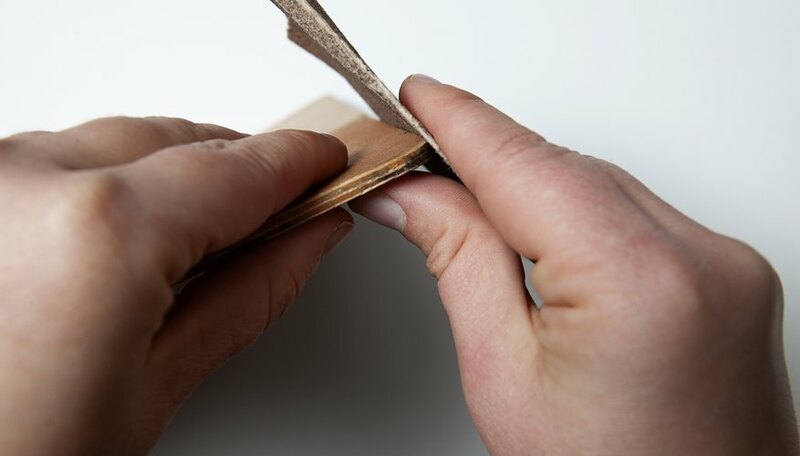 Sand the edges of the balsa wood palette with a fine-grit sandpaper to remove any rough edges. Also sand the edges inside the thumb hole. 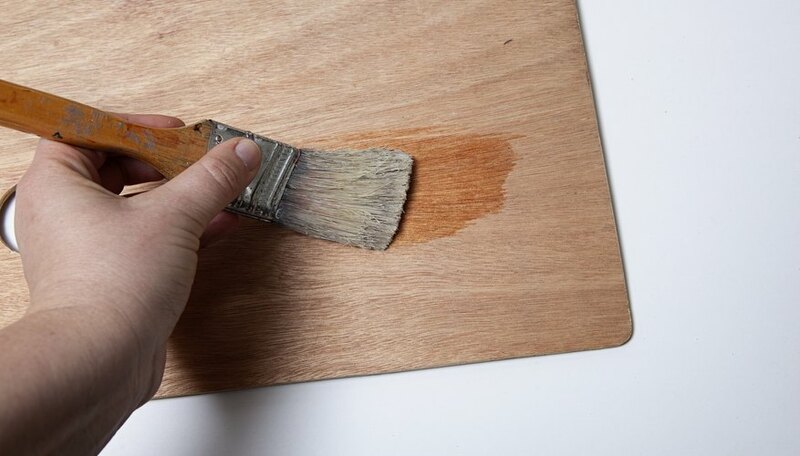 Spread a newspaper over your work surface and paint a thin coat of varnish over the top of the artist's palette with a paintbrush and allow it to dry. Once it dries, turn the palette over and paint the back of the board with varnish and allow it to dry. 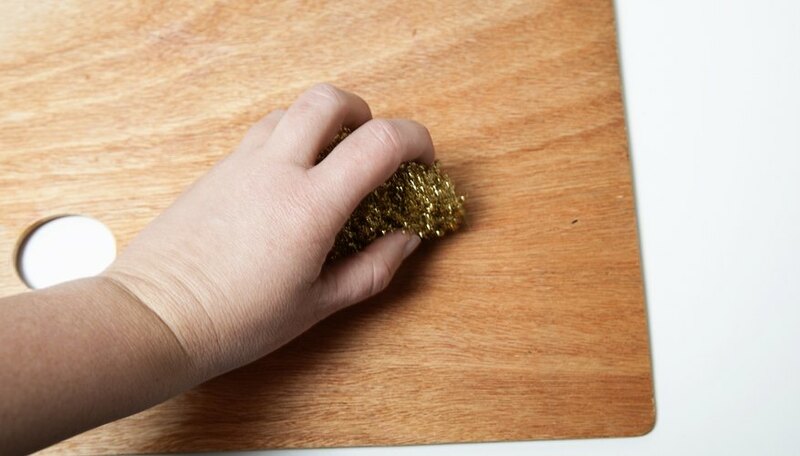 Sand the palette lightly with a steel wool pad to get rid of any burrs or standing grain and then place another layer of varnish on the front and back of the board and allow to dry. Ensure that your artist's palette is completely dry and you are ready to start applying your paint materials. You can customize your palette to look any way you want and fit your own style. To avoid injury, use the X-acto knife carefully when trimming the wood.